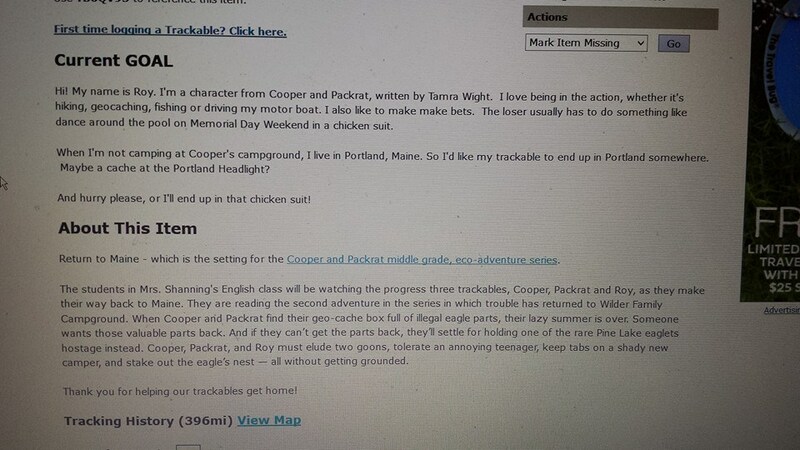 A detailed Teacher’s Guide for Cooper and Packrat; Mystery of the Eagle’s Nest, has been created by Maine’s 2013 Teacher of the Year, Shannon Shanning. 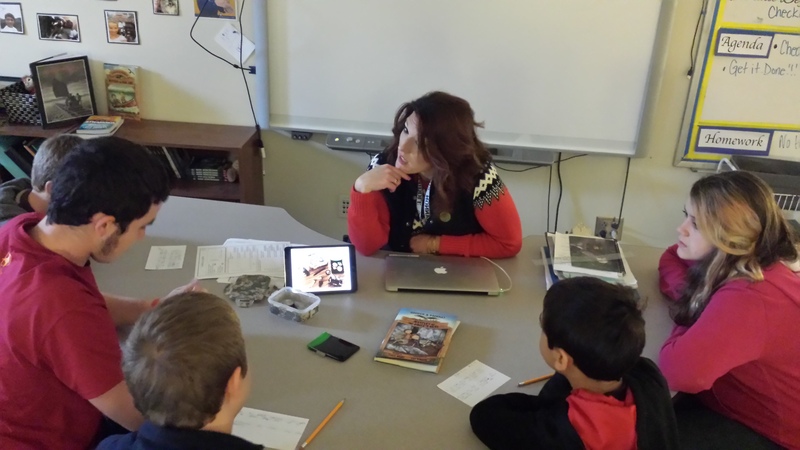 She tested and piloted the ideas and projects in her all-inclusive classroom, with seventh and eighth grade students, all while working on her Masters. The guide can also be used on younger grades with just a little bit of tweaking, especially the vocabulary lists and comprehension questions. For more great classroom ideas and projects, follow Shannon on Twitter @sshanning28 or follow me, @TamraWight, since I’m in the classroom as well. 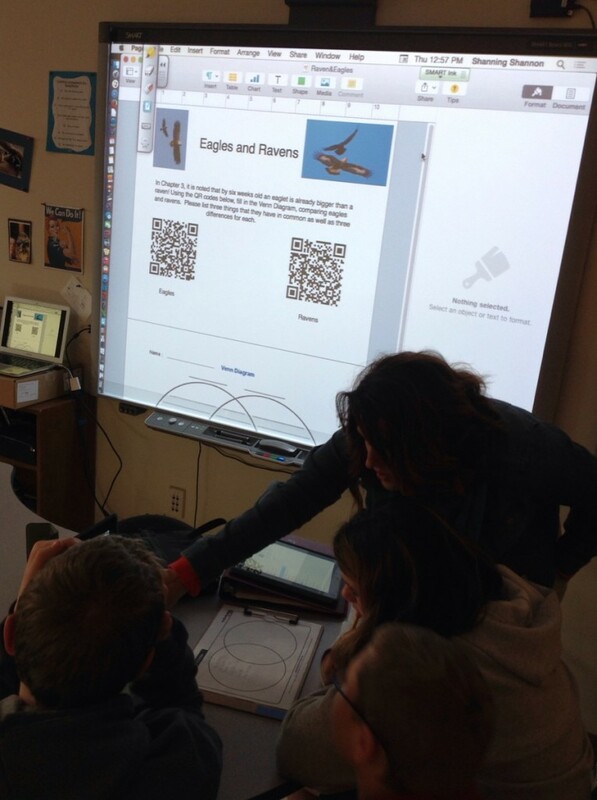 Everyday, we post interesting and interactive concepts, as well as student reactions to the lesson plans. Come visit us again for updates, and please don’t hesitate to contact us if you have any questions. What do your students already know about the subject matter? Before launching into the book, read the synopsis for Mystery of the Eagle’s Nest aloud. 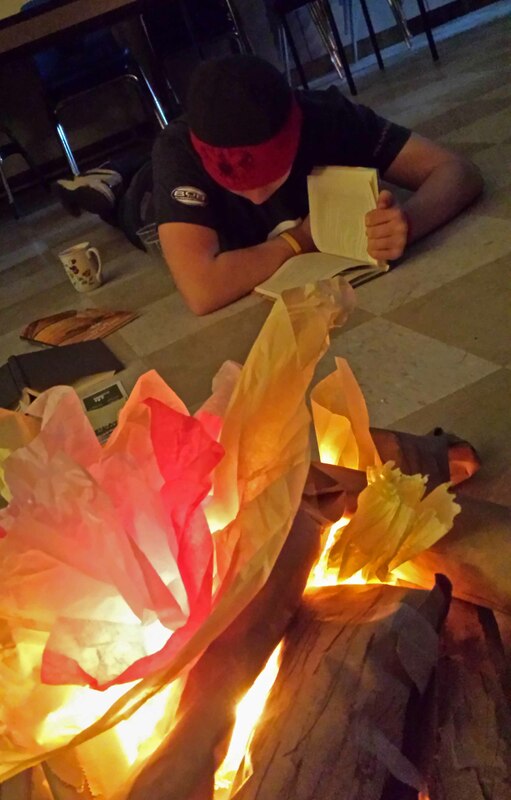 As a class, or individually, ask students to think on what they already know about eagles, camping, friendships, geo-caching and hiking using past personal and learning experiences. Then ask them to complete a list of their knowledge, following the letters of the alphabet from A through Z using this ABC Organizer Worksheet. They would write one word or a phrase for each letter. 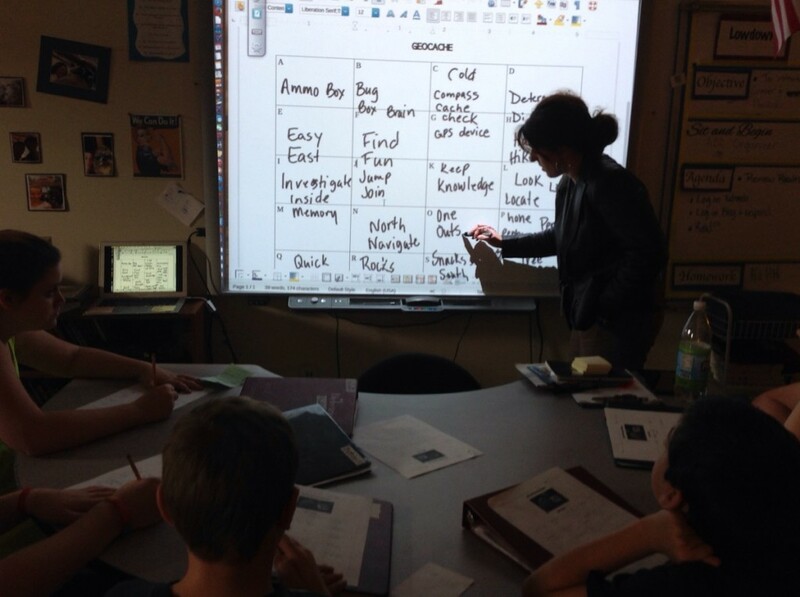 Afterward, have students share aloud their knowledge, sparking discussion. 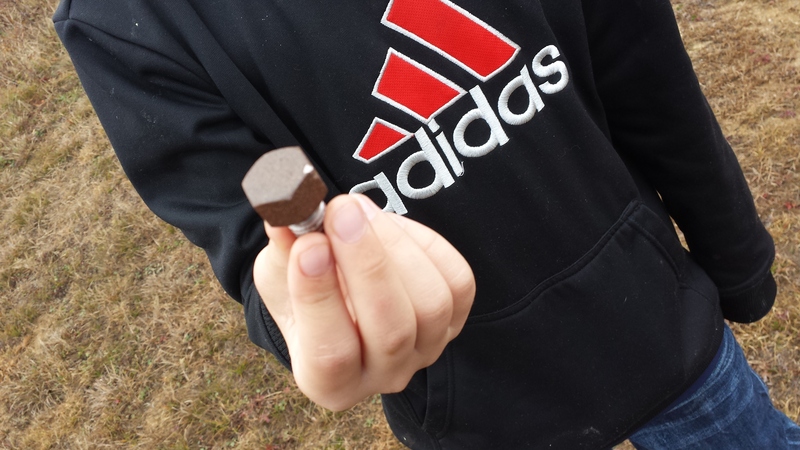 Research geocaching with your students so they will better understand the concept. You can do this by reading aloud my letter on geocaching (located at the back of the book), and visiting Geocache.com with them. *** Watch the Geocaching Basics or Geocaching 101 videos. You can also show some of the Creative Geocache videos which show elaborate puzzles and underwater caches. *** Set up your own geocache course on school grounds. You can keep this a private course, by hiding caches and putting the coordinates to the next cache inside the box they find. You can use a hand-held hiking GPS to accomplish this, or the HandyGPS app on your phone. 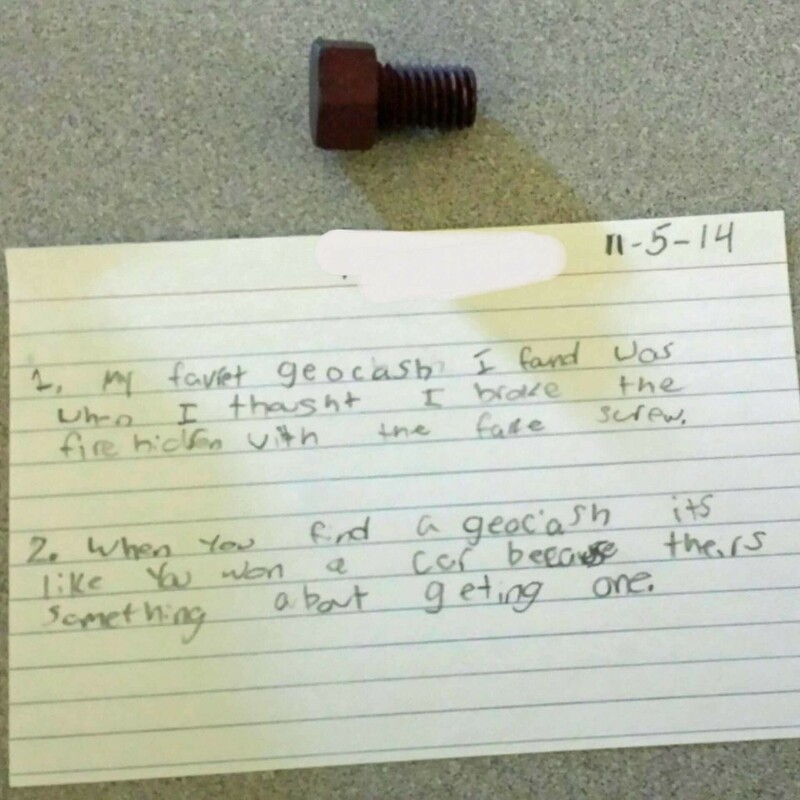 Afterward, ask students to write about their favorite find, and how it felt to find it. A rusty, decoy, nut and bolt, hidden on a metal well head. *** Explain Latitude and Longitude coordinates as they relate to geocaching and the world around us. *** Follow our classroom’s Travel Bugs: Cooper, Packrat and Roy, as they make their way from Sanibel Island to Maine. 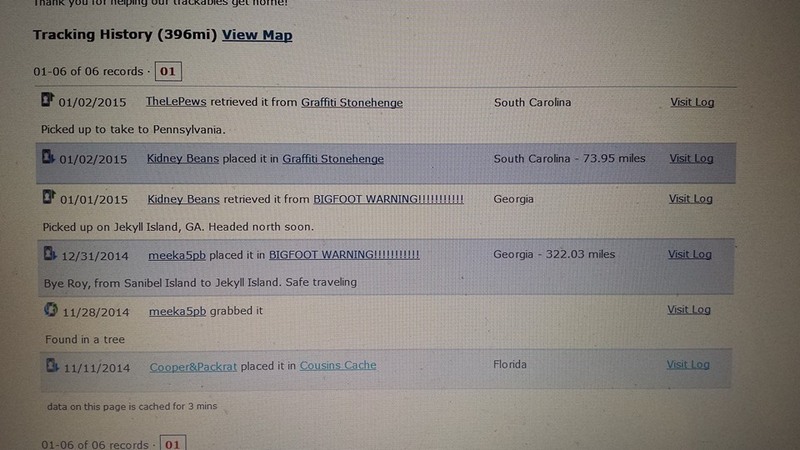 You’ll find them under the user Cooper&Packrat at Geocache.com. This is Roy’s Travel Bug Log. It’s been moved several times already! We look on the map, talk about the location, read about the cache’s themselves and talk about the miles the bug has traveled. And this is the goal and description for Roy’s travel bug. Or you can plant your own travel bug, giving it any destination you choose, and watch its movements throughout the school year. *** Ask them what they already know. Then dig into websites such as All About Birds to find more! 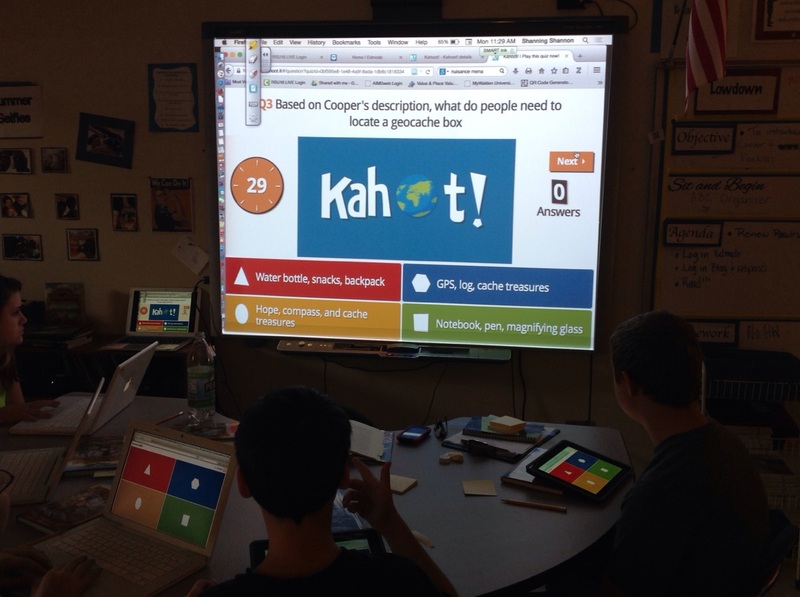 Or use a game such as Kahoot to teach them. *** Make a list of all the dangers to eagles. (i.e. raccoons, wind turbines, lead sinkers, humans) Make another list of the ways humans are helping them. (rehabilitation centers, banning lead sinkers, educating people on them) Compare and contrast your lists. Use rehabilitation organizations such as Avian Haven to help you. *** In the spring, you can watch nesting eagles live on an eagle cam! Maine Eaglecam1 and Minnesota Bound: Live Eagle Cam are two I frequently used in my research. It isn’t springtime? No worries! They have videos of past nesting eagles on their site. *** In this book, Cooper and Packrat watch a raven dive bomb the eagle’s nest. How can this be? Isn’t the raven a smaller bird? Not as fierce as an eagle? 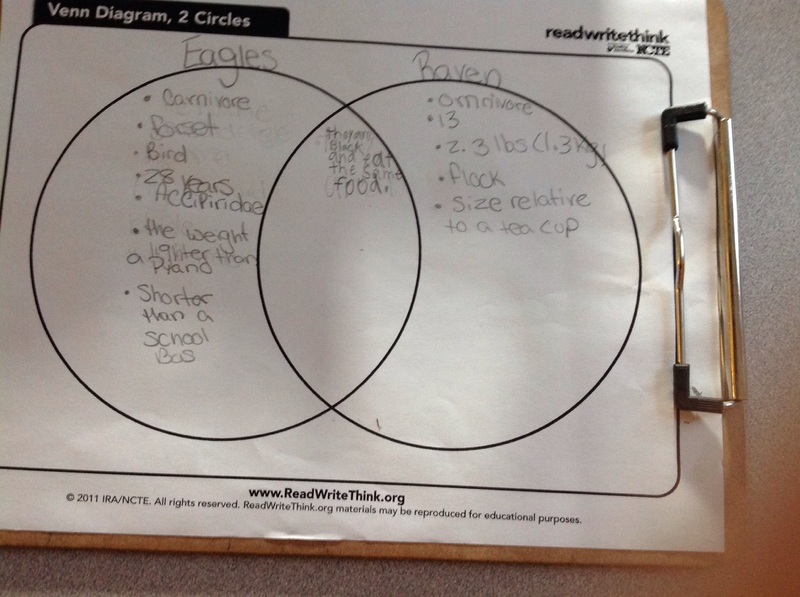 Compare and contrast information about Ravens and Eagles using a Venn Diagram. We directed students to the appropriate information websites using QR codes to make it more interactive and fun. 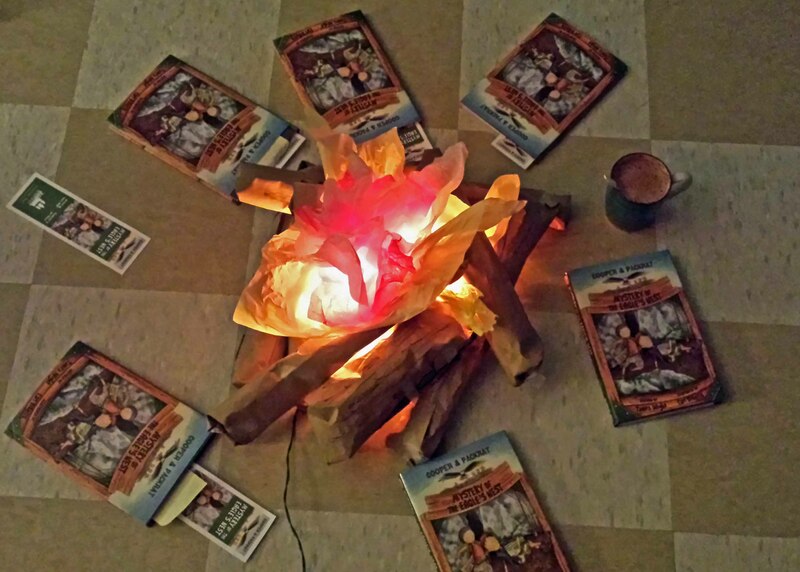 Build a campfire using real, or pretend logs (rolled construction paper, stuffed with newspaper), a short string of lights, and red/yellow/orange tissue paper. 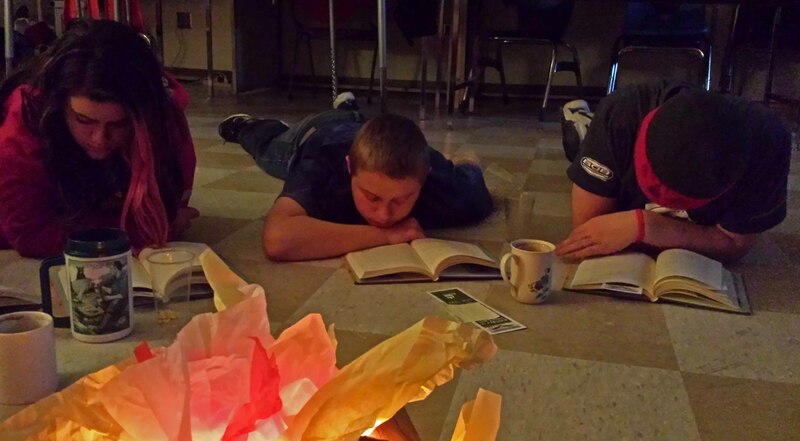 Dim the lights, push back the desks and read.